This week I am hosting the Gluten Free Menu Swap. I have picked Easter as this week’s theme as I will be preparing for Easter brunch this week. Spring is always a busy birthday time for my family, but particularly this week as my youngest has a birthday on the day before Easter. Bring on the cake! Birthday girl’s choice: Chocolate pancakes, strawberries, bacon and a chocolate cake shaped like a Peep. What is on everyone else’s plate? 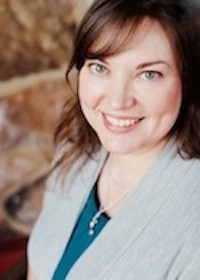 Heather of Celiac Family will be hosting the Easter meal and celebration at her house this year. Everything for her meal sounds amazing, from the honey baked ham, to the red potato and green bean salad to the intriguing Chocolate Chip Cookie Baskets with Chocolate Eggs. For the week leading to the big celebration, they will be having burgers with roasted brussels sprouts and corn on the cob, corn dog muffins with tropical fruit salad, baked parmesan chicken nuggets, marinated beef strips and broccoli stir-fry. Yum! Wendy at Celiacs in the House has a delicious week of fried quinoa, quinoa pasta with homemade sauce and ground turkey, coconut curry tilapia with cauliflower rice, spinach, mushroom, onion frittata, taco bowls, and chicken stir fry with broccoli, cauliflower, carrots and mushrooms. For Easter dinner she is serving her family’s favorites of ham, twice baked potatoes, asparagus and LOTS of chocolate and jelly beans. Sounds great! Paige at Not Missing a Thing has a couple of great links for ideas for celebrating Easter that you have to check out and a new recipe index so we can find all of her gf, df, egg free yumminess. Yay! The week leading up to Easter, Paige is serving Paula Deen’s Swiss Steak, Quinoa Indian Chicken, pulled chicken and rice, crockpot beef stroganoff, and hamburgers. She is bringing a dish to an Easter of a dairy-free potatoes au gratin style dish. This post will also be linked to Organized Junkie for Menu Plan Monday. 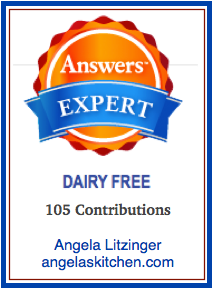 Hey Angela, thanks for hosting this week's menu swap. I've got my menu posted: http://celiacfamily.com/menu-plan-april-2-easter/ Have a happy, happy Easter and birthday week! 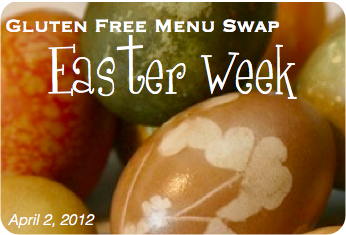 My menu is posted: http://celiacsinthehouse.com/2012/04/gluten-free-menu-swap-easter-week2.html. Intrigued by mom's TV gig. Hope you will be sharing that. Paige @ Not Missing a Thing!